Automatic, Soft Top, 3.6L, Lift, Wheels & Tires, Wrangler Unlimited Sport Soft Top, 4D Sport Utility, 3.6L 6-Cylinder, 8-Speed Automatic, 4WD, Firecracker Red Clearcoat, Black Cloth. **AT BOSSIER CDJR- WE ONLY ADVERTISE PRICES WITH REBATES THAT EVERYONE QUALIFIES FOR!! 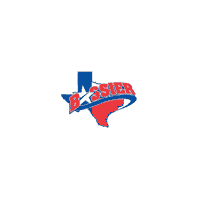 - IT'S A BETTER WAY TO BUY YOUR NEXT VEHICLE - IT'S THE BOSSIER WAY!! ** WANT A BETTER PRICE? CALL OR EMAIL TODAY! THINGS LIKE YOUR JOB, ADDRESS, REGION, and CURRENT VEHICLE MAY QUALIFY YOU FOR ADDITIONAL DISCOUNT(S) OR REBATES. WE’VE SOLD OVER 50,000 CUSTOMERS – FOLKS JUST LIKE YOU. WE SELL VEHICLES IN EVERY STATE IN THE U.S.. We offer WARRANTY FOREVER on almost every vehicle we sell at absolutely no cost to our customers! WE’D LOVE TO MEET YOU, BUT YOU DON’T HAVE TO COME TO THE DEALERSHIP – WORK YOUR DEAL BY PHONE, EMAIL OR TEXT – WE’LL BRING IT TO YOU! IF YOU DON’T LIKE IT....DON’T SIGN FOR IT...THAT’S BOSSIER COMMITMENT TO EXCELLENCE. LOVE IT OR LEAVE IT. (Don’t you wish your relationships were THAT easy??) * Bossier is the exclusive home of the WARRANTY FOREVER!! * Free Delivery to your doorstep or place of business * Pressure Free , Efficient, Friendly, and Helpful Sales Staff! * We have the best financing. Period. 100% approval guaranteed. * If you don't see it in stock, just ask! * Certified Factory Service Technicians that will help you protect your investment for years! .